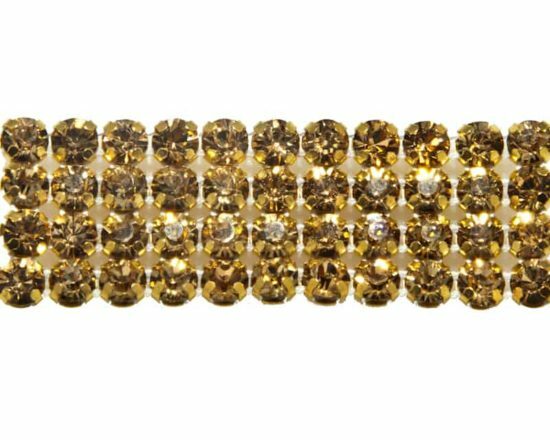 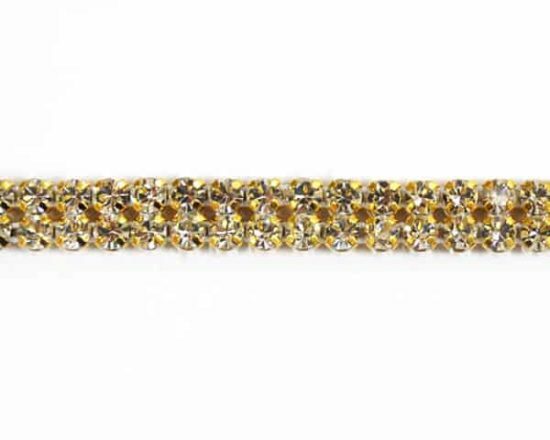 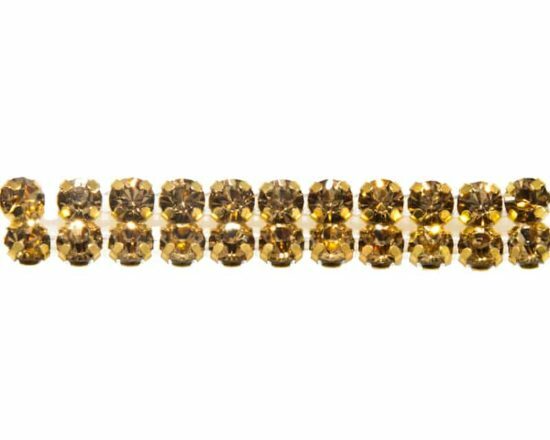 Our bestselling rhinestone banding now available in topaz stone color. 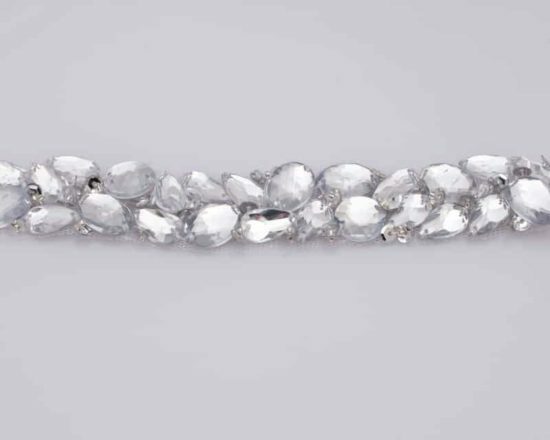 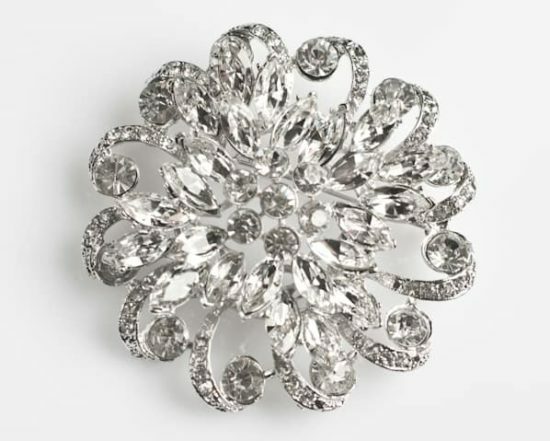 Czech crystals offer show stopping sparkle! 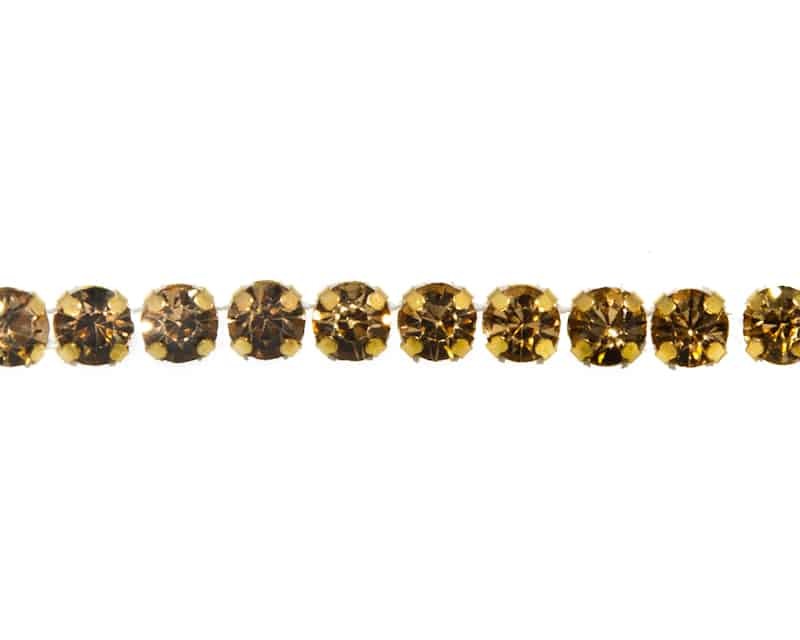 Very easy to cut and will not come apart. 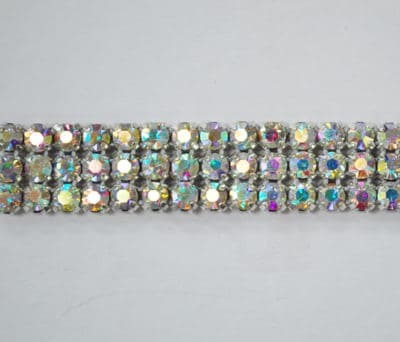 Perfect for wedding cakes, apparel, costumes. 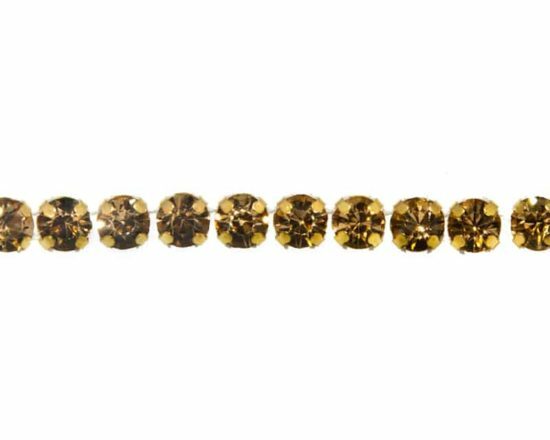 Topaz crystal with gold pointed back setting. 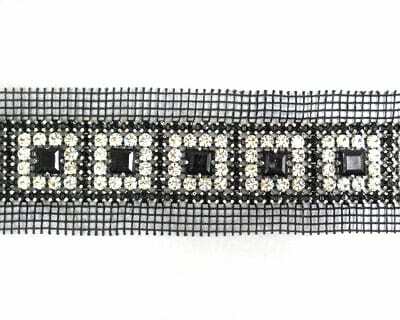 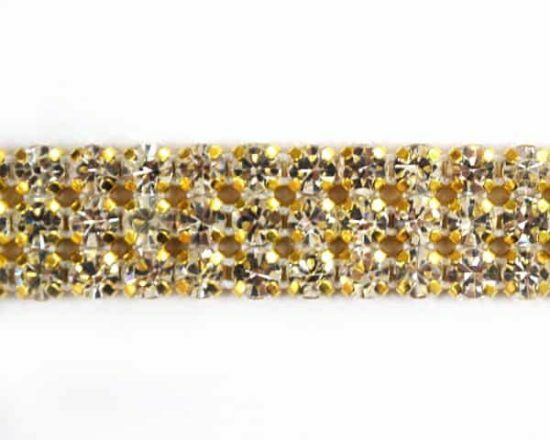 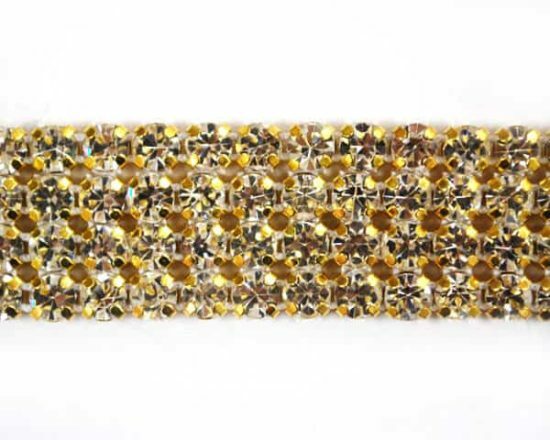 NOTE: Our premium rhinestone banding is already deeply discounted. 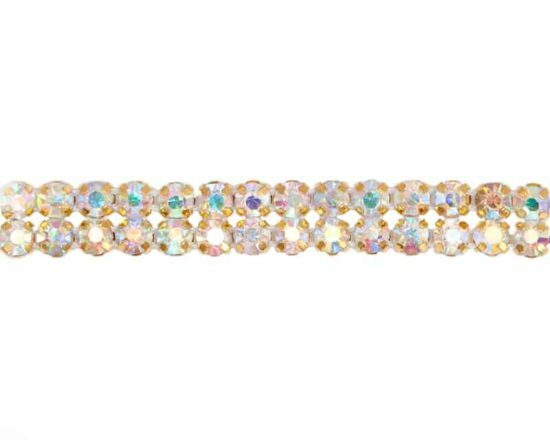 Sorry, coupon codes do not apply.